This week, Mark Bittman is serving as a Guest Editor at Food52. He chose a Wildcard winner, answered our questions, and has been sharing recipes from his new Cooking Basics app. No junk food snack comes close to these easy savory cookies, which make the perfect finger food. 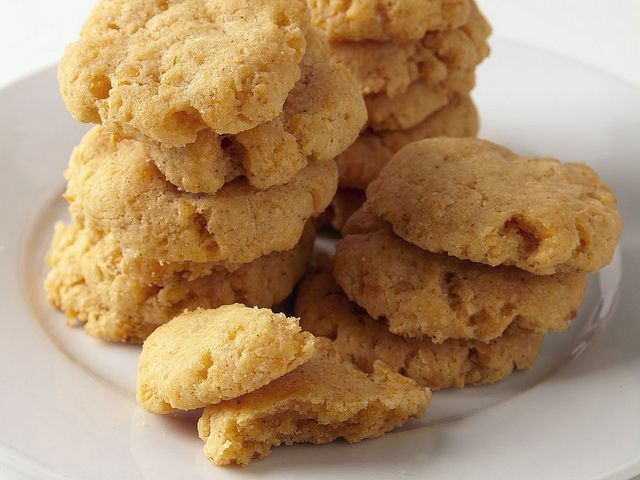 “Short" -- when it comes to baking -- means pastry with a high percentage of fat, which is exactly what makes these shortbread cookies silky, crumbly and delicious. They are so easy to make, the kids can do it. Refrigerating makes the dough easier to handle and shape, but if you’re in a real hurry, stick it in the freezer for 10 minutes or so. Want more of Mark's recipes? Enter to win a copy of his new Cooking Basics app! My books include the bestselling How to Cook Everything and Vegan Before 6 P.M. (VB6), where I provide all the necessary tools for making the switch to a Flexitarian diet with lists for stocking the pantry, strategies for eating away from home in a variety of situations, pointers for making cooking on a daily basis both convenient and enjoyable, and a complete 28-day eating plan showing VB6 in action. These are wonderful! When made with sharp cheddar, they are a bit too salty for me, so I either omit or reduce the salt. Roll them into a log shape, wrap in plastic and chill. Cut into slices (no rolling or flattening individual cookies) and bake. Keep some rolls in the freezer, too! I love the thought of this with chutney!